Season 2, Episode 32 – This week we find out if Green Flash Brewing Company’s versions of Alpine Beer Company beers are up to snuff with Alpine’s authentic brews. These days, brewery buy-outs and partnerships are becoming more and more commonplace, not only in terms of macro breweries buying out smaller craft breweries, but also larger craft breweries partnering and purchasing smaller, well known craft breweries. One example as of late is the purchase of Alpine Beer Company by Green Flash Brewing Company. 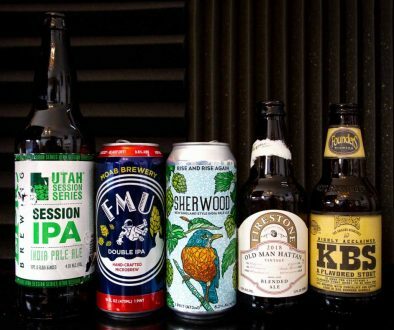 Whether a brewery is purchased by a macro or a fellow craft brewery, there is one question that most craft beer consumers and aficionados ask: What’s going to happen to the quality of the beer? Will it remain the same? Will it be brewed at the same brewery, or will it be shipped off to a massive brewhouse somewhere on the east coast, only to become a watered down, boring version of its former self? 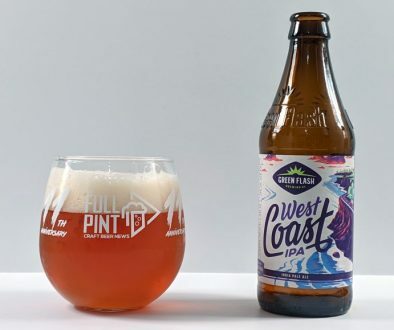 When it came to the purchase of Alpine Beer Company by Green Flash, most people thought it was a good thing for both companies. Alpine was a very small operation while Green Flash was cruising along with their brand new 50BBL brewhouse and making beer for the masses all over the country. With the help of Green Flash, Alpine could afford to pay its employees more money and provide benefits for them while at the same time getting their beer to more people. Green Flash is well versed in IPA, so replicating Alpine’s massively popular IPAs shouldn’t be too much for Green Flash to handle, right? This brings us to where we are today, and this week’s episode. For quite some time, Green Flash has been brewing two of Alpine’s best core beers: Duet and Nelson. 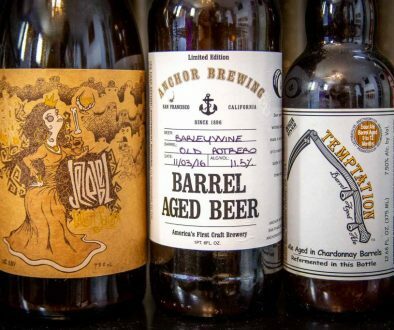 Hop heads all over SoCal and beyond know and cherish these beers. They’re legendary. So, when Jason heard that beer geeks were harshly questioning the quality of Green Flash’s versions of the hoppy Alpine classics compared to the Alpine versions (which Alpine still brews and bottles), he decided to take matters into his own hands. This week, we’re drinking Duet and Nelson from both Green Flash Brewing Company and Alpine Beer Company. Jason went to Alpine Beer Company to purchase fresh bottles of Duet and Nelson that were brewed at Alpine, then went to Green Flash Brewing Company to purchase two fresh growlers of the same beers brewed at Green Flash. SPOILER ALERT: RESULTS AFTER THE PHOTO. Let’s cut to the chase. We were very surprised with the outcome of this experiment. Two tasters of each beer were brought to us blindly. We were told what the beers were by name, but didn’t know which brewery they came from. John’s girlfriend, Yvonne, helped us out with that. [Thanks, Yvonne!] As it turns out, the criticism of Green Flash’s versions of Alpine’s beers is justified. Duet, brewed with Simcoe and Amarillo hops, was the real eye-opener. Drinking these beers side by side, you’d think they were completely different beers. Their colors were even quite different. Aromas were also different, and not just subtly. We even had to send Yvonne back to make sure she brought us Duet from each brewery. They were that different. The room was divided on which one of these was the better beer. In the end, we chose the Green Flash version as (what we thought was) the authentic version. Wrong. The two Nelson variations were actually much closer to one another. But just like Duet, their colors were wildly different. The room agreed that one of the beers stood head and shoulders above the other. We guessed this one correctly. The Alpine version was fantastic. So, there you go. It seems the the criticism of Green Flash’s versions of the Alpine IPAs is somewhat warranted. That being said, Green Flash’s versions were still very good beers, but were different from the originals brewed by Alpine. Could batch scaling be the issue? Maybe each brewery had a different crop of hops? Then there’s the beer color issue. We kick around some ideas regarding why they were so different, but in the end, who knows. Maybe one day we’ll have Green Flash on the show and we’ll get an answer. I said this way before I read this article. I always thought GF was way off on the Nelson. I don’t think it’s close at all. I was wondering if McKinney gave them a different recipe to hold onto the secret even though he sold out. I get this heavy pepper taste on the backend of the GF version that I don’t really care for. I can’t really speak for the Duet. If you want to compare the beers color and flavor you really should have used the same glassware for each beer. Also, you need to be sure the born on dates were close to each other and that the beers were stored at the same temperature and had the same light exposure. A for effort but F for execution. Born and raised San Diegan here who loves BOTH versions of Nelson. I also understand the difficulty in trying to clone any beer at any scale. My hat is off to GF for how close they are to cloning one of the best IPAs in the world. People need to stop and think about that. Homebrewers want to scoff but I don’t think many ever get a chance to see just how insanely difficult it is to nail a recipe at scale as recipes are not linear. I don’t live in SD anymore so when I saw we were able to get Nelson and Duet out here in Louisiana I flipped out. Are they the same? Nah. Are they very close? Yes. Is it a step in the right direction for GF as a whole? Hell yes. Here is the real scoop on the difference between beers brewed at Alpine and Green Flash. We continue to work on all of the beers. For the first two years of making Alpine beers, there was one major obstacle. Alpine does not filter beer, but Green Flash must, because of the size of the tanks. This has caused a difference in turbidity in the beers, which we have not consistently been able to overcome. Consistently, being the key word. At times they have been nearly perfect. At other times, they have not. Recently, with Pat McIlhenney’s urging and guidance, we purchased and installed a very sophisticated centrifuge to filter the Alpine beer at Green Flash. This allows our brewers to dial in a specific speed to filter each beer, resulting in the targeted turbidity of that ideal batch. We have only been using the centrifuge for the past month, and are still fine-tuning the process for each beer. We are very excited and expect much more consistent turbidity going forward. I’ve been drinking Alpine IPA’s since 2008. I WON’T buy GF/ABC. Tried it many times. Not the same. As a matter of fact I haven’t bought GF beers since they changed the WCIPA recipe. Alpine draft is everywhere these days. Not the same. For those who’s never had a Alpine IPA they probably don’t know any better. Maybe by word of mouth only. I will still drive the 2 hours from Huntington Beach to Alpine 4 times a year for bottles. So your 55 miles is nothing for some world class beers. Hell, I drive the 4 hours to Kern River for their beers. DRINK ALPINE…or go to BED! Drink GF/Alpine and get the sh!tes!